Just scroll down to find and order what you want. IMPORTANT GUARANTEE: While most of the information here at behappy101.com is free, I want you to BeHappy! with anything you purchase on this site; our reputation depends on it. Nothing is more important to me personally than for you to be completely satisfied with the information you receive. So if you are not satisfied with anything you buy on this site, for any reason whatsoever, simply contact me and I will have a refund check cut and sent to you immediately. Just imagine yourself a year from now – absolutely loving your work, enjoying your job, making more money, advancing your career, or even changing to a new, exciting, fulfilling career (if that’s what’s best for you). Imagine how your whole life would change – how happy you would feel – if every morning you woke up, without even the need for an alarm, because you're excited about starting the day and participating in a “process” (one you currently call “work”) that inspires you and adds passion, fulfillment, and even fun to your life. 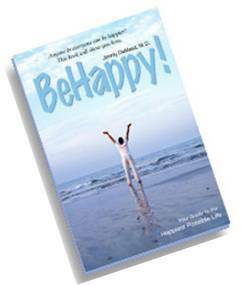 That's what the new book, BeHappy! at Work intends to achieve. 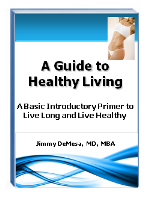 Live Longer, Live Healthier, and Be Happier with this new Ebook. Learn why the weight loss, disease prevention, and nutritional information we have regarded as "facts" may not be true - and how you can improve your health dramatically with some simple changes. "Save the Marriage" is a highly popular marriage e-book which has saved a high percentage of marriages from divorce. It will change your life! If you're considering marriage or are in a long-term relationship, then this is the most important book you'll ever read. It has 1000 questions covering every topic imaginable to make sure you're perfect for each other. Yep, almost anyone can get something out of this incredible book! Click here to learn more about this valuable relationship resource.